"Why quality and compliance is necessary, and how it can be a significant investment on an organization"
Risk Management needs to be a holistic approach for Quality and Compliance Management Systems. When considering Risk Management, many often immediately shift to Risk Assessment. However, Risk Assessment is only a piece of a broader Risk Management strategy. 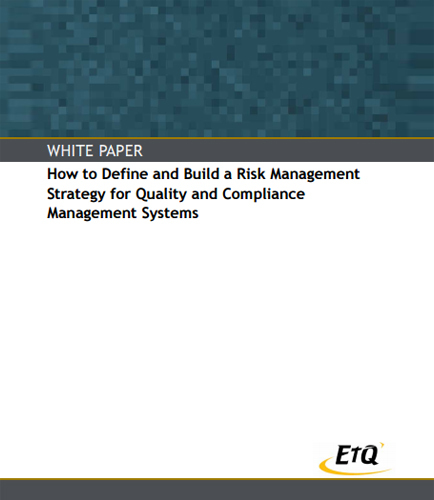 The core message is that in order to make quality and compliance streamlined and efficient, a company needs to have a level of Risk Management methods in place.